Just not "Extra Virgin". Great price if you're into this stuff. Personally, it doesn't do anything for me but my wife is a fan. Looks like a temporary "when it's gone, it's gone" deal. Spotted in Lichfield, but I'm sure it'll be a widespread offer. Is this in every store? On the subject of this not being 'extra' virgin. There is no such product. The “extra” is marketing hype and that is all. I … There is no such product. The “extra” is marketing hype and that is all. It has been borrowed from the olive oil industry where it refers to a specific stage in the production of that product. We’d advise avoidance of coconut oil labelled “extra” virgin. If they’re wanting to pull the wool over the eyes with one thing, there may well be others. Please help the community and post your deal too. So pleased for you, so where is your deal? Seeing as how the deal link goes nowhere, can someone tell me what this stuff is? Do you eat it, drink it or splash it on all over? bread. I know nothing about its uses. Eat it- can be use as spread instead of butter, fry on it. Use it for baking. Great skin moisturiser, even better as a hair mask- especially when somebody got a dry hair. I use this when making apple crumble. I use it in place of some of the butter. Eat it- can be use as spread instead of butter, fry on it. Use it for … Eat it- can be use as spread instead of butter, fry on it. Use it for baking. Great skin moisturiser, even better as a hair mask- especially when somebody got a dry hair. If you can stand the smell. Will someone tell me why this is nowconsidered the best thing since … Will someone tell me why this is nowconsidered the best thing since slicedbread. I know nothing about its uses.Thanks. Ecky thump....a panacea for everything from the top of your head to the bottom.............................! Coconut oil is good for frying. Saturated fats are very stable when heated, unlike seed oils and vegetable oils. It can give your food a mild coconut flavour but it actually works well for some things. I like peppers and onions fried in coconut oil but mushrooms not so much. I think that is refined, not virgin (the "extra" can be ignored). No smell with refined coconut oil, but I think the smell is one of it's best features. Coconut oil is good for frying. Saturated fats are very stable when … Coconut oil is good for frying. Saturated fats are very stable when heated, unlike seed oils and vegetable oils. It can give your food a mild coconut flavour but it actually works well for some things. I like peppers and onions fried in coconut oil but mushrooms not so much. Virgin coconut oil has a much lower smoke point than lard and other oils such as rapeseed and even virgin olive oil. So no, I wouldn't recommend it for frying. I fry everything in coconut oil since starting the banting diet. Love the stuff. Love coconut oil. It's fantastic with cast iron, and great for frying - the regular stuff is great, and the virgin is even better (read: always really expensive). Hot for me. Virgin coconut oil has a much lower smoke point than lard and other oils … Virgin coconut oil has a much lower smoke point than lard and other oils such as rapeseed and even virgin olive oil. So no, I wouldn't recommend it for frying. £2 for 500ml KTC Pure Coconut oil in Morrisons. For those that care, that one is refined, This one isn't. Give me a like-for-like deal. All the other ones posted are not Virgin products. Would be fine for massage though. 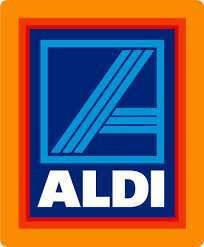 This Aldi one is a good price. the next best price for this on the high street is Waitrose Cooks ingredients which is £5 for the same size. you can get 2x 1200g at Costco for £20 which is a better deal but not available to everyone. Buy 10 coconuts, blend the pieces in a blender with water, (i.e cold pressed) strain off the water from the pulp, squeeze the last water from pulp, chuck the pulp, and boil the water down till the oil remains. Strain and done. OR simply leave the milk to ferment 2 days in a container with a cloth over the top, then put in the fridge and spoon off the oil/cream from the top. done. Can't get more virgin or pure unless your talking about me tee hee. Plenty of youtube videos on this and yields 2 cups oil (500ml) per 10 coconuts. What yrreb88 said is somewhat true. Virgin coconut oil only has a smoke point of 180°C, most food requires 190°C to shallow or deep fry. So by the time you've browned any food, the oil has smoked, turned carcinogenic, and the nutrients and benefits of the oil have degraded. I use unrefined extra virgin coconut oil for hair, and skin, it has loads of great uses, but I no longer use it for cooking. The best oil I've found for frying is cold pressed rapeseed oil, which has a smoke point of over 200°C, it's natural, and generally quite healthy for you. It's also widely available, and relatively cheap at £2.70 for 500ml. What yrreb88 said is somewhat true. Virgin coconut oil only has a smoke … What yrreb88 said is somewhat true. Virgin coconut oil only has a smoke point of 180°C, most food requires 190°C to shallow or deep fry. So by the time you've browned any food, the oil has smoked, turned carcinogenic, and the nutrients and benefits of the oil have degraded. I use unrefined extra virgin coconut oil for hair, and skin, it has loads of great uses, but I no longer use it for cooking.The best oil I've found for frying is cold pressed rapeseed oil, which has a smoke point of over 200°C, it's natural, and generally quite healthy for you. It's also widely available, and relatively cheap at £2.70 for 500ml. Interesting. I had in my head that the smoke point was high for coconut oil. We use clarified butter for frying which has a nice high smoke point and good flavour. How stable against rancidity is virgin rapeseed oil? 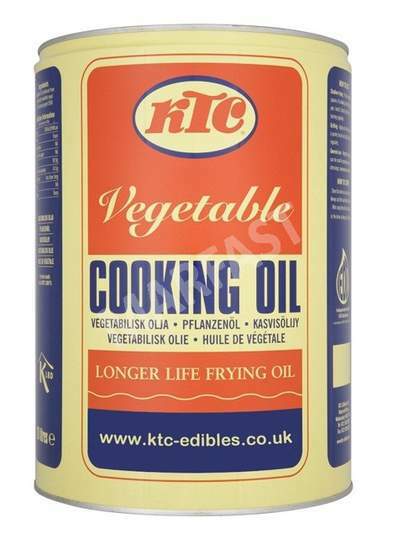 That's what stopped us using vegetable oils (apart from olive and coconut). The best oil I've found for frying is cold pressed rapeseed oil, which … The best oil I've found for frying is cold pressed rapeseed oil, which has a smoke point of over 200°C, it's natural, and generally quite healthy for you. It's also widely available, and relatively cheap at £2.70 for 500ml. It's about as natural as High Fructose Corn Syrup. Oh dear god. Terrible advice. Ah what do I care? Enjoy your rancid, … Oh dear god. Terrible advice. Ah what do I care? Enjoy your rancid, bleached, seed oil:https://www.youtube.com/watch?v=uVe_08TntEUIt's about as natural as High Fructose Corn Syrup. Please, read what I write before commenting. The video you've linked to, is far from cold pressed, virgin rapeseed oil. It's highly refined, rapeseed/vegetable oil, the type you would buy for 99p in the supermarket similar to ones labeled, "Crisp n' Dry". There is a huge difference between refined, and unrefined/cold pressed oils. The source of the oil isn't the problem, the refining is. Refined coconut oil is just as bad as the refined canola oil in the video you linked. Cold pressed rapeseed is the seed, expeller pressed (crushed between plates) to separate the oil. No solvents, heat or any other refining is part of the process, it's 100% natural, as natural can be. Interesting. I had in my head that the smoke point was high for coconut … Interesting. I had in my head that the smoke point was high for coconut oil. We use clarified butter for frying which has a nice high smoke point and good flavour.How stable against rancidity is virgin rapeseed oil? That's what stopped us using vegetable oils (apart from olive and coconut). Rancidity isn't usually a problem providing you're buying 500ml bottles. Though it's not going to keep anywhere near as long as coconut oil due to the low saturated fat. I keep my oils in a dark, cool cupboard to prevent rancidity. It's best to buy just enough for what you'd use over a fortnight, or to decant enough into a separate bottle and keep the rest in the fridge. Though saying that, I've had a bottle last over a month and it's been fine, you can easily tell if it's gone rancid, as it'll smell bad, it usually takes quite a few months for an opened bottle.